Certification – Disability Associate, Inc.
Are you preparing for the next Social Security certification examination? If so, we’ve got a product that will help you ace the examination. 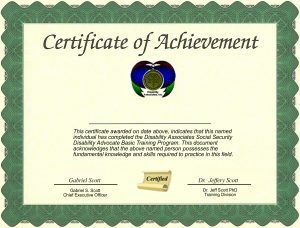 We call it the Certification Prep Program (CPP). 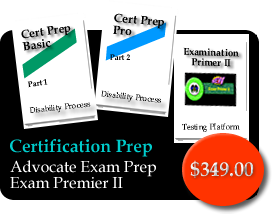 With this course, you’ll receive a complete advocate training review and one year of access to our Examination Primer II testing system. The Primer II enables you to test and re-test your readiness for the direct-pay examination.